Big Hair Rock Band Rubber Duckies. Ready to rock with their flowing locks! Heavy Metal Rubber Duckies are geared up to play your hair band favorites. 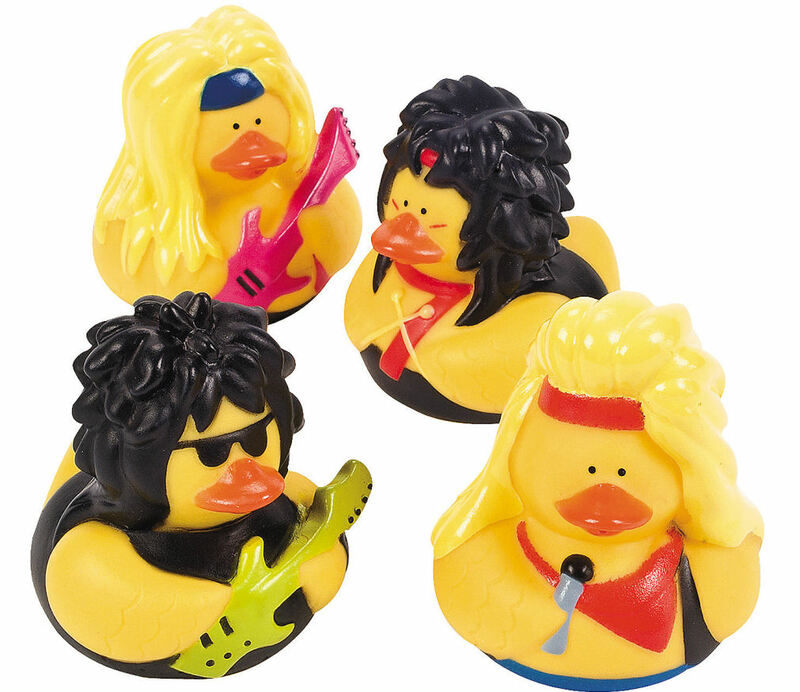 These vinyl duckies all have long hair and guitars, drum sticks or a microphone. They're ready for some musical story time and they make fun desktop decorations. 2 1/2" Duckies do not float upright.